An opportunity for a virtual trip through Fabrica, thanks to an online 3D space that recreates every detail of Tadao Ando’s architecture. 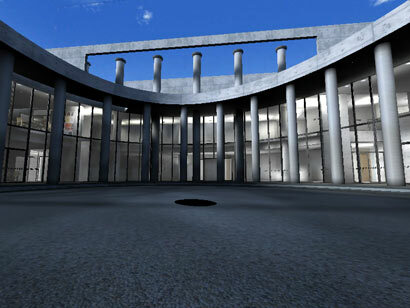 “Fabrica Virtuale” is a Quake mod based on the engine created by ID Softward for the videogame Quake 3. Authors: Pierre Fichefeux (France), Harun Alikadic (Bosnia), Mathieu Guimier (France).